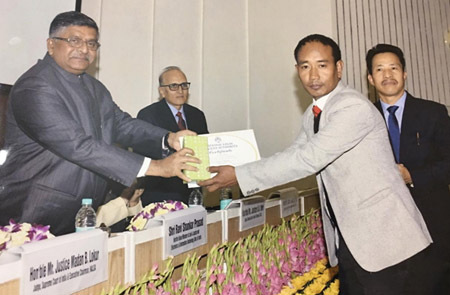 NEW DELHI, Dec 17: In a rare achievement, Tirap district’s legal aid counsel, advocate Gulley Sumnyan has received the ‘best zonal panel lawyer of the Northeast zone’ award from the National Legal Services Authority (NALSA) in recognition of his services as a panel lawyer of the district legal services authority. Sumnyan received the award from Union Law & Justice Minister Ravi Shankar Prasad during the commendation ceremony of the NALSA, which was held here on 15 December. The NALSA, over the years, has been organising a national meet for paralegal volunteers, wherein the activities of the legal services authorities are discussed and the achievers in the field of legal services from across the country are felicitated. 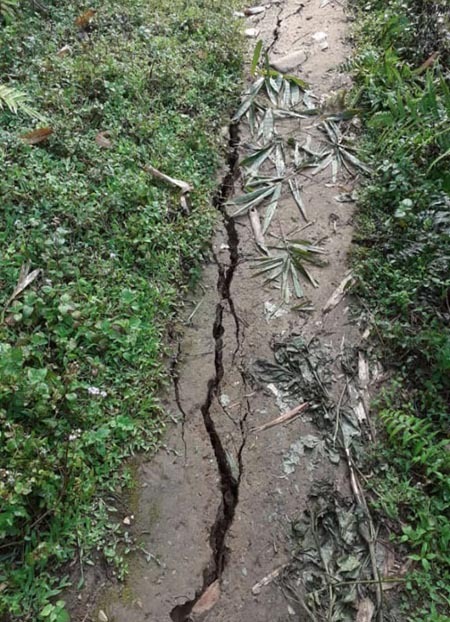 Besides Sumnyam, the Arunachal Pradesh State Legal Services Authority team at the NALSA meet included its Member Secretary Budi Habung, Tawang DLSA Chairman Gote Mega, Secretary Damge Niri and paralegal volunteer Phurpa Lamu.